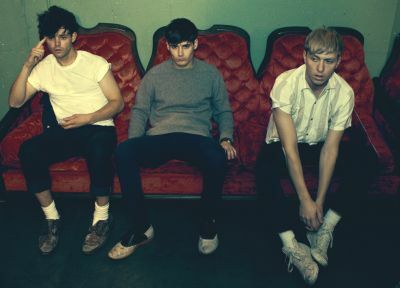 It’s a busy time for Brooklyn’s The Drums, with new material due for imminent release and the launch of a new video channel on their website. The trio’s second album, ‘Portamento’, is available from September 5 on Moshi Moshi/Island. A lead single, ‘Money’, gets released on the same day; while a remix by Craft Spells available now as a free download via Soundcloud. Meanwhile, the new video venture, entitled ‘VISIOMENTO’, promises weekly updates each Tuesday. Exclusive content of performances, guests and interviews are in store for viewers. The first ‘VISIOMENTO’ episode is available to watch here. Tickets for the shows cost £13.50 (£15 for the Shepherd’s Bush gig) and are available now via the band’s website.